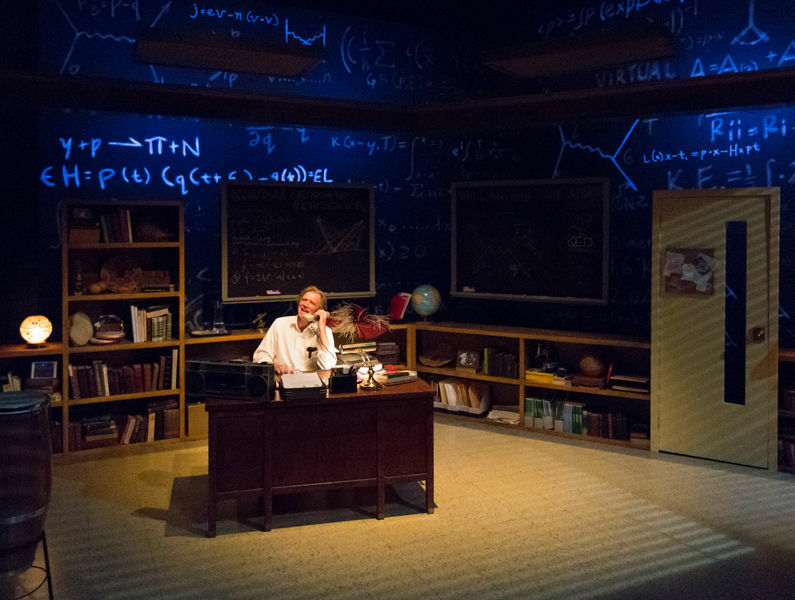 Pictured: Peter DeLaurier in QED (2014), photo by Mark Garvin. Charles McMahon and Michael Brophy co-founded the Lantern Theater Company in 1994. Since the launch of the first production, the Lantern has become one of the most successful small professional theaters in the Philadelphia region, earning critical acclaim and establishing a loyal audience base. In 1996, the company moved to its home at St. Stephen's Theater, formerly St. Stephen's Alley. The Lantern has managed the performance space and developed it into an affordable multi-purpose performing arts space available to other small and emerging theaters.